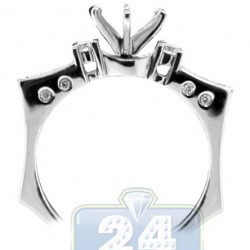 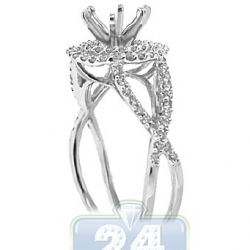 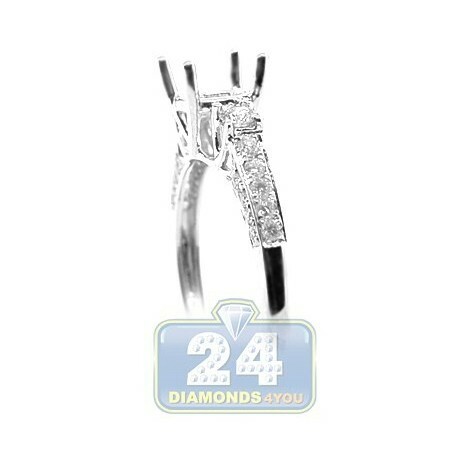 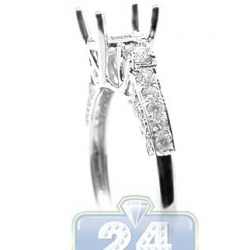 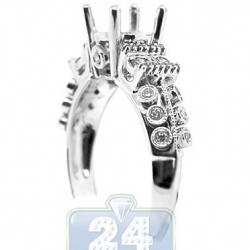 Show your feelings and design your own engagement ring using this gorgeous semi mount! 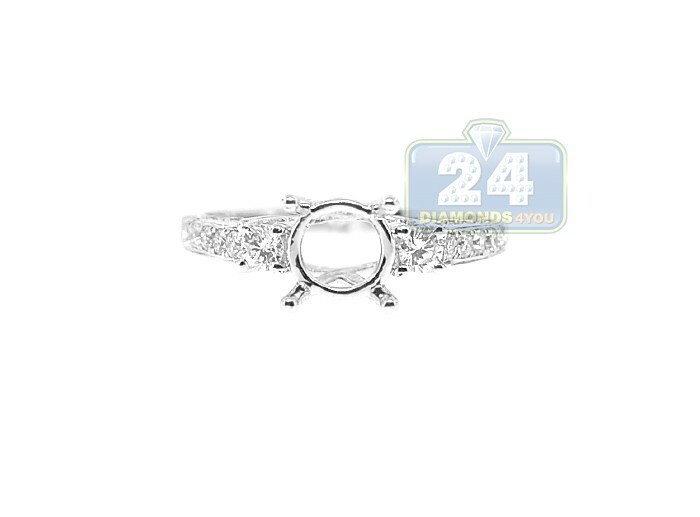 Our setting showcases an antique styled design and artfully handmade of pure 18k white gold with perfectly polished finish. 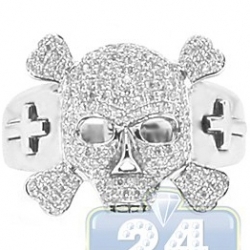 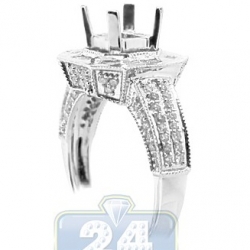 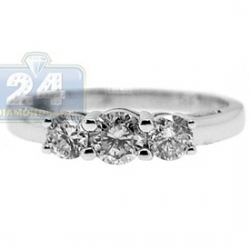 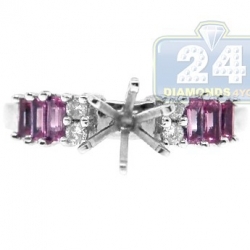 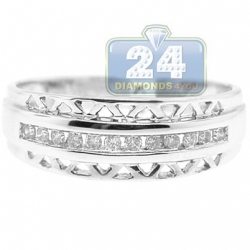 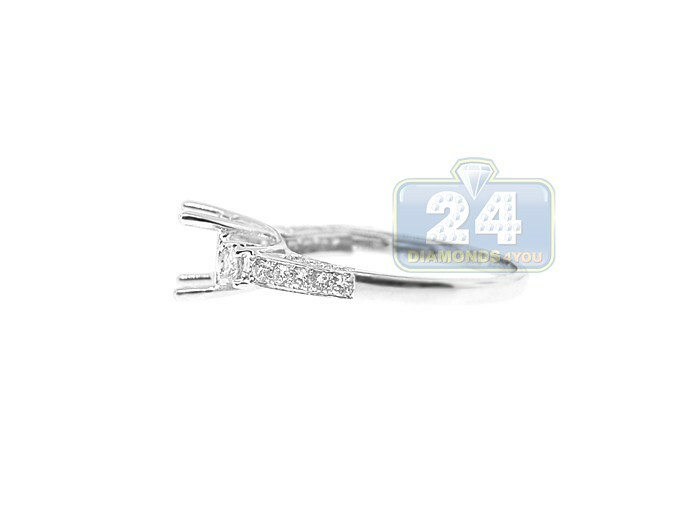 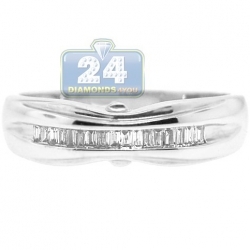 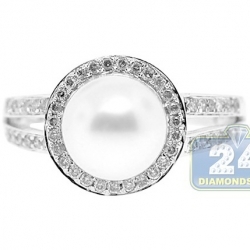 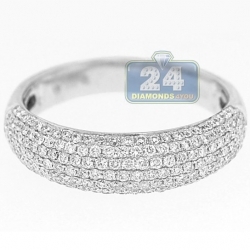 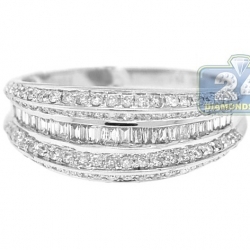 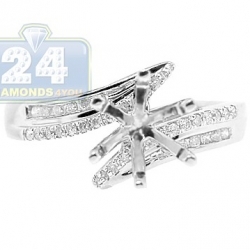 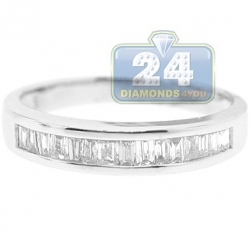 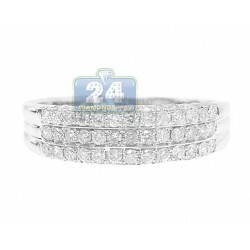 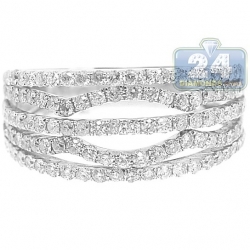 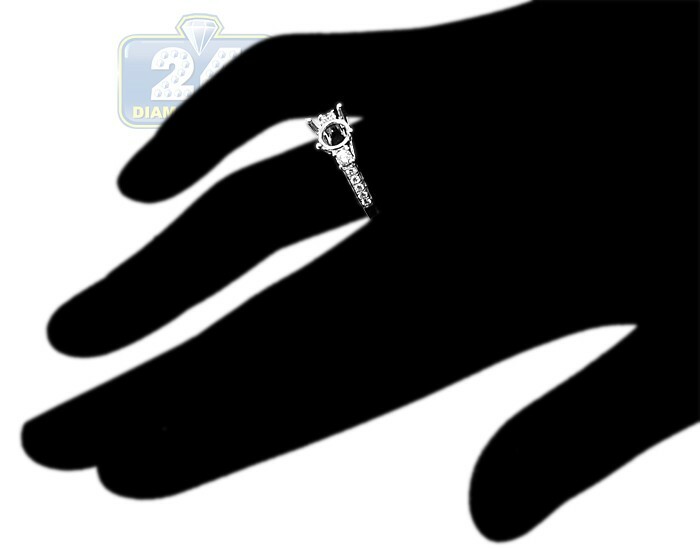 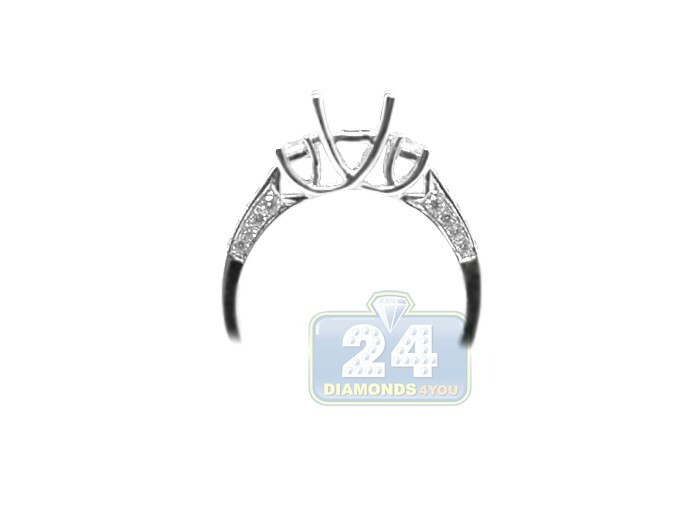 Its shank is masterly accented with top quality round cut diamonds weighting 0.44 carat in total. 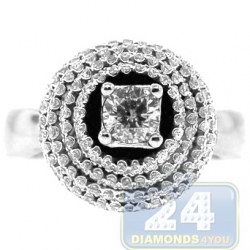 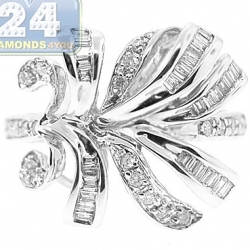 A shimmering crown can easily hold any round or square shaped center stone of your choice. 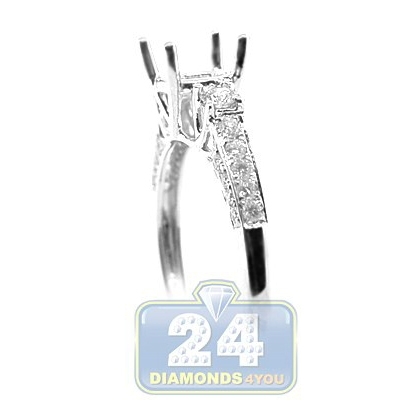 The side of the setting are beautifully highlighted by natural brilliants on each side.